This retail glass display cabinet is a must have on the sales floor. 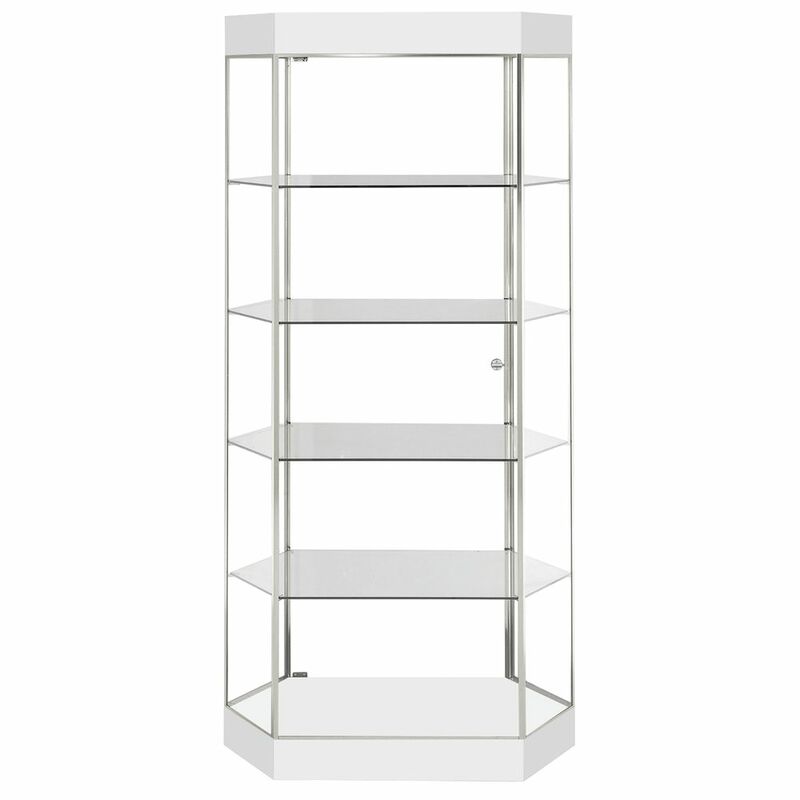 The case has glass shelving that will accommodate assorted displays. The retail glass tower display is equipped with sealed beam halogen spotlights that are great for showcased items like jewelry. The case with a white laminate finish with a brushed aluminum frame that gives the sales floor an upscale appearance. Additionally, the display showcase comes with a knob lock to keep your merchandise safe and secure.